Welcome to the English part of the Bibliotheek Amstelland website. At this moment, we only have limited information in English. Of course, we would be happy to inform you in the libraries or by phone or mail should you have any questions or need for information. Please click here to see our flyer 'Monthly Membership'. with pricing and more. This flyer is also available in the library. With your library card, you can borrow books, e-books, dvd's and other materials. You can also use our computers with Internet connection for free for half an hour a day having a 'basis' (standard) library card. For 'onbezorgd' (no worries) card holders you can uis the internet as long as you wish. In addition, you will receive a 50% discount on participation in lectures, workshops and other events. With the basis card you can borrow ten items for three weeks without paying additional costs. You can borrow twenty items with a loaning period of six weeks with the 'onbezord' card. Reservation costs are free from the collection of Amstelland Libraries. For items out of other collections, the reservation cost is € 2.50 per item. and would you like to practice together with others? In the Taalcafé you can do just that. And it’s in a relaxed environment, with none of the pressures of a learning programme. 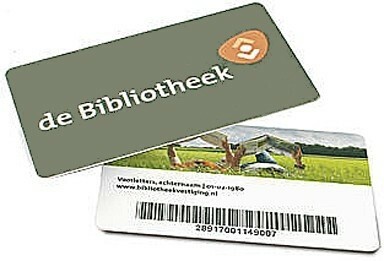 The main library of de Bibliotheek Amstelland is easy to reach by the A9, exit Amstelveen. Follow the route‘Parkeergarages Stadsplein’ or ‘Schouwburg Amstelveen’. The parking-lots are under and next to the Library Amstelveen Stadsplein. Tram/MetroFrom the Central Station of Amsterdam or train station Amsterdam Zuid-WTC, you can reach the Library Amstelveen Stadsplein with tram line 5 (end stop Amstelveen Binnenhof) or with metro line 51 (stop Amstelveen Centrum). The library is located close to the bus station at te other site of the shopping mall. Please check this Travel Advice 9292 website for all public transport. From the train stations Haarlem NS, Hoofddorp NS or Schiphol NS take the Zuidtangent, a fast bus connection, (line 300) to the bus station of Amstelveen. From Uithoorn you can reach bus station Amstelveen with line 347. From Kudelstaart or Aalsmeer you can take lines 357 or 171. The busstation Amstelveen is located directly next to the Library Amstelveen Stadsplein.